OK, just one more post on dates. I was playing in the kitchen last week and stuffed dates with blue cheese and wrapped them in bacon and baked them for an appetizer. So, this is a take on a similar idea. 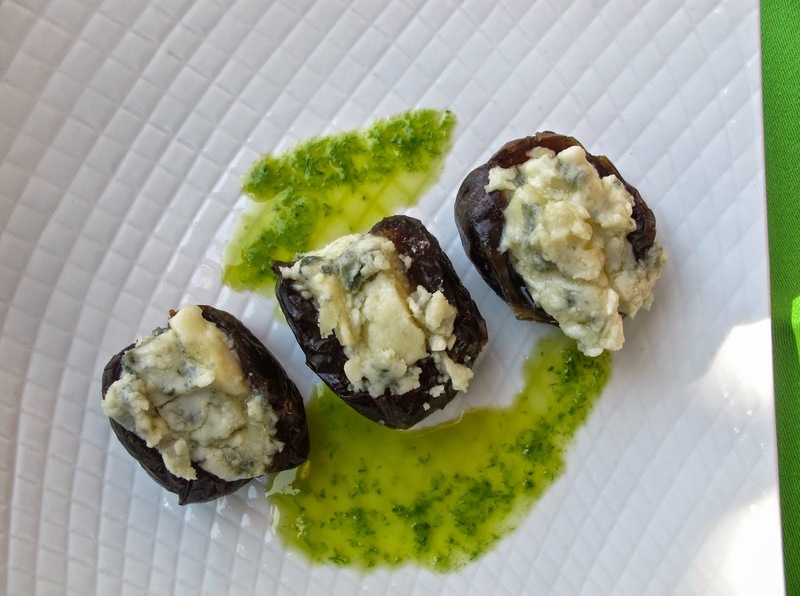 Slit the dates and stuff with blue cheese. Set aside. Bring a medium saucepan with water to a boil and blanch the chives for about 30 seconds (they will be bright green) and immediately plunge into ice water until cooled. Drain and pat dry. In a food processor, combine the chives with garlic; with machine running add olive oil and process until completely blended. Warm dates slightly and drizzle chive oil along side.